New York is the ultimate nightlife city. One of the reasons why everyone loves New York City is because you can get anything, at any time, from any part of the city! With so many options and activities to choose from, it’s no wonder New Yorkers are so restless. They don’t call it the city that never sleeps for nothing! So, what are the top things to do in NYC at night? Sifting through all the different activities, especially if you’re just in town for a while, can be a daunting task. 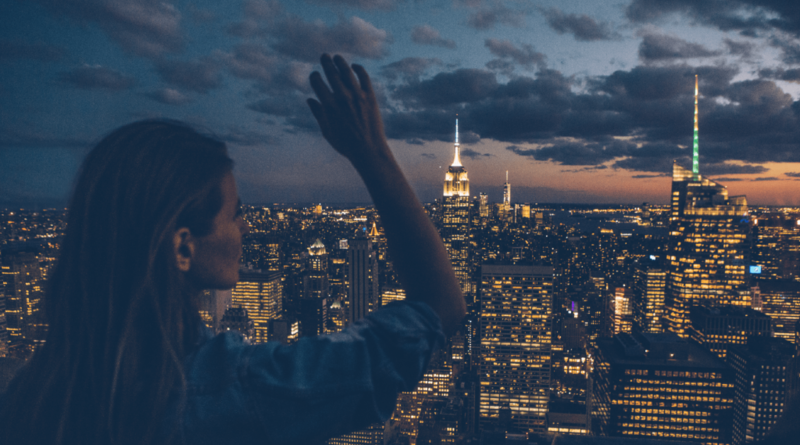 To help you get started, the Deputy team researched and compiled some unique activities in New York City that you can enjoy at night. 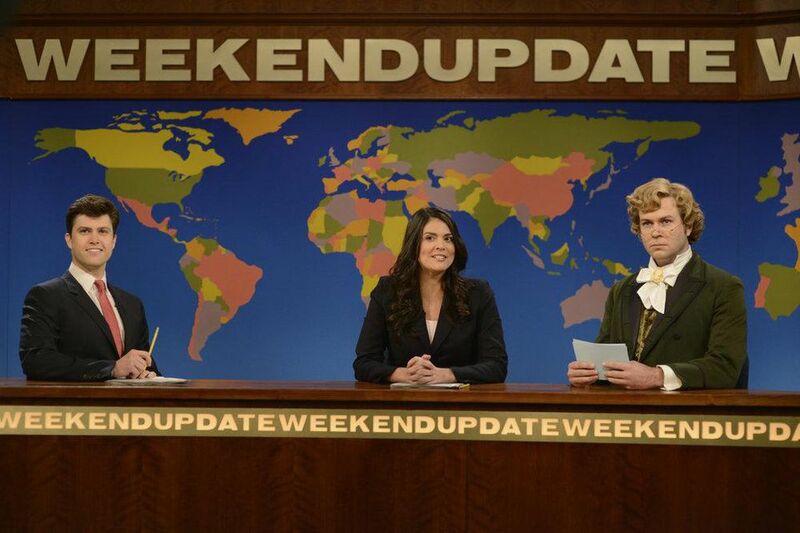 Where can you see famous comedians and TV hosts for free? New York City of course! Many TV shows are filmed in New York City and tourist and locals alike line up for hours to enjoy this amazing and memorable experience. You can submit a request to see shows like Good Morning America, Live with Kelly, The Chew, The View, and Late Night With Seth Meyers here. Any additional information about the other free studio audience tickets can be found here. Be sure to reserve these tickets online in advance since the wait is often long. There is never a pizza shortage in New York City. Ask any New Yorker where the best pizza is and you’ll get a passionate, but a varied response from each person. With so many options of pizza joints to choose from, it’s hard to eat at just one place. That’s why the team here at Deputy recommends creating your own pizza crawl. You’ll have the flexibility to choose from any type of pizza your heart craves – whether it be old school thin-crust pizza or a non-traditional pizza topped with unique toppings. One way to create your pizza crawl is to use Google maps trip planner. Plan out which pizza restaurant you’ll want to check out by borough. Need some help figuring out where to grab the best slice? Check out our list of the best pizzas in New York City by borough here. If you are tight on time for planning a pizza crawl, a guided tour is an alternative option. These tour guides are pizza experts and can show you some of the most iconic pizza shops in NYC followed by some history. You even get to skip the lines. Scott’s Pizza Tour offers both private and public tours. 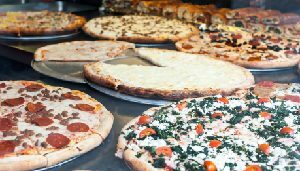 They have a variety of tours to choose from as well, such as a Brooklyn Pizza Tour, Times Square Pizza Tour, and even a bus tour that covers all 5 boroughs. Get your tickets here. This tour has been featured on shows like the Today Show, the Food Network, and the Travel Channel. If you read our Best Pizzas in New York City blog, you’ll know that Brooklyn pizza is famous. This authentic guided tour will take you to pizza joints only locals know about to famous landmarks—covering Brooklyn from one end to the other. Sidewalks of New York Tours offers exceptional New York walking tours. All of their tours are guided by native New Yorkers. This tour includes three different slices of pizza at some of Greenwich Village’s best-known pizza restaurants. After you enjoy some pizza, the guides will give you a history lesson about the Greenwich village and how beer and pizza played an important role in developing ‘The Village’. Take on a whole new perspective of NYC by seeing it lit up from the highest point in the city. The Empire State building is open until 2:00 am giving you plenty of time to see the city that never sleeps in action. 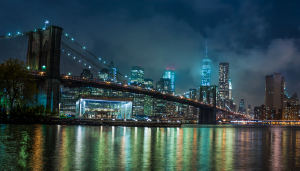 In fact, NYC’s Julian Tours recommend going there at night to avoid crowds. Whether you come after dinner or early in the morning, seeing the illuminated skyline will be one of the highlights of your trip. Craving a late night snack? You can’t go wrong with a New York milkshake. Today, NYC restaurants are putting a twist on traditional milkshakes and coming up with insanely indulgent milkshake flavors. From toppings to texture to tradition, the best shakes in the city all have their own unique taste and charms. In addition to burgers, this restaurant also serves up some of the best milkshakes in New York City. They are notoriously famous for their namesake shake which is a delicious red velvet flavored shake and a must try. No milkshake list is complete without mentioning Black Tap. Their most famous milkshake is called the Crazy Shake, and for a good reason. These enormous treats are decadently covered in candies, cookies, and a ton of baked goods. Talk about a sugar-lover’s dream! This 1950s themed diner offers a classic menu, no gimmicks, just simple ingredients. The presentation of their milkshakes are not as over-the-top as some of the others on the list, but you get fresh ingredients with a 50’s vibe. Buns Bar is famous for decorating their shakes with superhero characters to cartoon characters. They make Batman, Spongebob, Spiderman, you name it! Grab one of their famous milkshakes for a late-night bite. This cafe features a variety of candy-themed food, cocktails, and desserts. A must try here are their massive, over the top milkshakes. Check out their Instagram to see why they are one of NYC’s most “Instagrammable” milkshakes. Mom’s Kitchen & Bar, located in Astoria, Queens, serves up the best all-day brunch paired with outrageous and delicious shakes. 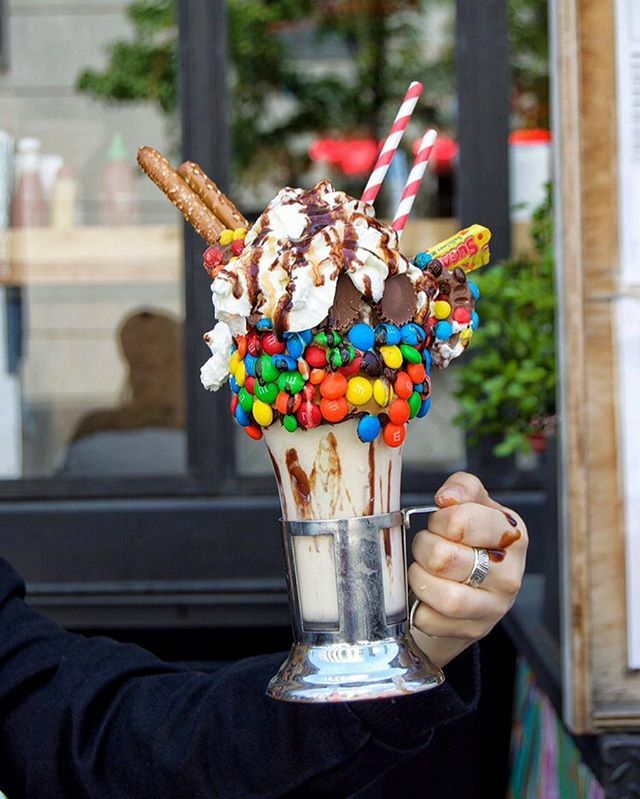 Their shakes include toppings such as cereal, cake slices, lollipops, chocolate chunks, and more. This Manhattan-based chain is well-known for their cereal flavored milkshakes, most notably their Crunch Cereal Shake. You can find a copycat recipe here. Hotels don’t have to just be for tourist! Locals can enjoy boutique hotels just as much. You can feel like you’re on vacation even if it is down the road from your apartment. Boutique hotels have gained a lot of popularity these past years, and for good reasons. They all have a unique atmosphere, which is a world away from conventional hotel chains. This boutique hotel is filled with funky and vibrant colors. Located in Manhattan, this hotel is anything but boring. You can easily walk to Rockefeller Center, Times Square, and Christie’s. 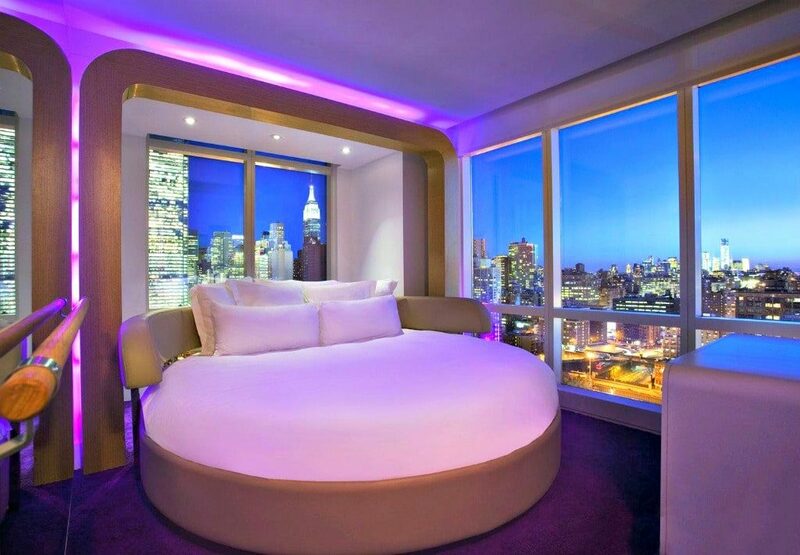 You can find this hotel in the heart of New York’s hipster area, SoHo. Crosby Street is the first American outpost from Kit and Tim Kemp’s London-based Firmdale hotel brand. This hotel has the same eclectic English country-meets-modernist design as its London sisters (think layers of fabrics, textures, and colors). This futuristic Japanese-themed hotel is perfect for fans of technology and design. According to Wikipedia, every hotel has an electronic check-in system, convertible double beds, and a control panel for lights and air conditioning. The hotel website claims to have one of the city’s largest hotel terraces where you can enjoy anything from cocktails to breakfast. The building was built in 1905 as a home for sailors and has even hosted Titanic survivors. The Jane uses thoughtful design to pack maximum convenience into minimal space. They even have old-school bellhops and stuffed monkeys with fez hats! This boutique hotel made it to our list of the best boutique hotels in the U.S. 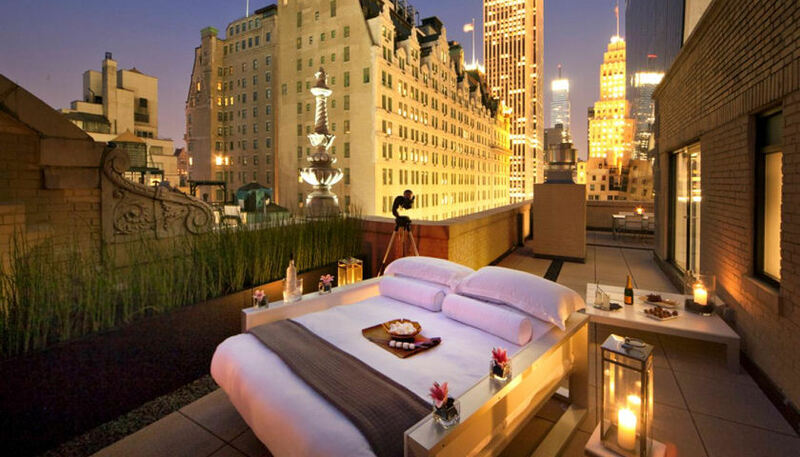 This trendy boutique hotel is surrounded by art galleries and fashionable eateries with spectacular views of Manhattan. Or go glamping in the middle of the city! For the 8.5 million New Yorkers, quick access to feasible camping is a bit of an issue—until now. Sleeping under the stars is now a reality in the city! This glamping site opens on May 1st through Oct 31st. The company Collective Retreats will offer double-occupancy tents with shared bathroom facilities or a luxury tent with en-suite bathroom—right next to the Statue of Liberty! Premium tents start at $150 per night, while luxury tents start at $500. Located in historic Fort Tilden National Park (New York’s only beach! ), Camp Rockaway is a 6-week pop-up campsite created by local architect Kent Johnson. 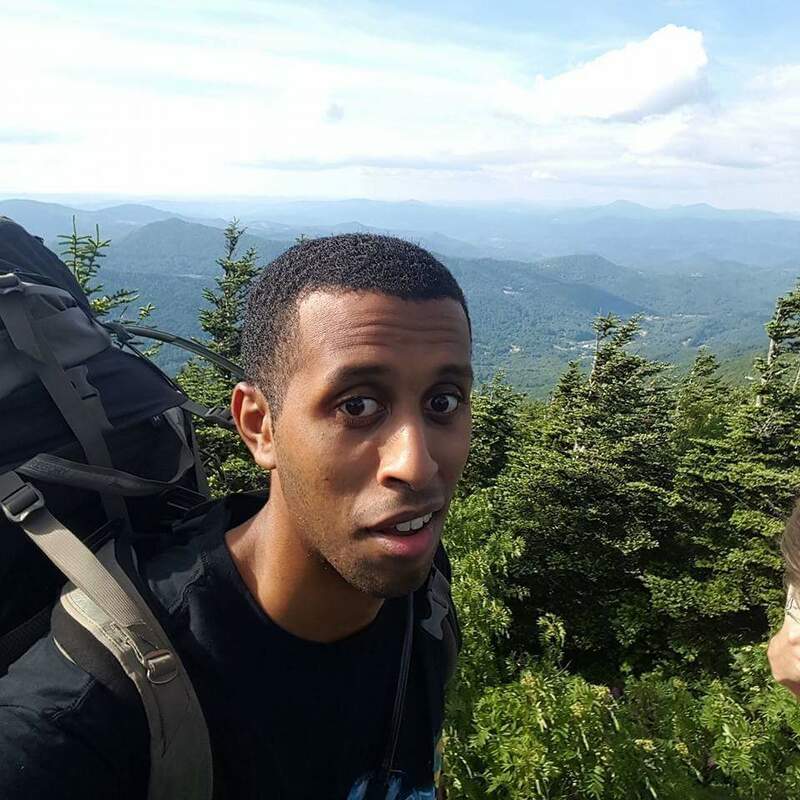 Johnson launched a Kickstarter in 2014, raising over 50,000. There are five wall tents (two of which has next-door pup tents), two herder tents, and three bring-your-own-tent sites. This urban take on glamping is offered by the hotel AKA Central Park. For about $2,000 per night, the campsite includes a luxurious queen bed, fireplace, television, a telescope to look at the stars, and s’mores—all on your penthouse suite’s 1,000-square-foot terrace. New York City has all the restaurants. People from all over the world travel to New York City to experience the food scene. New York City found a way to bring every type of food, from every corner of the globe to one city. With endless choices of food in NYC, where do you start? 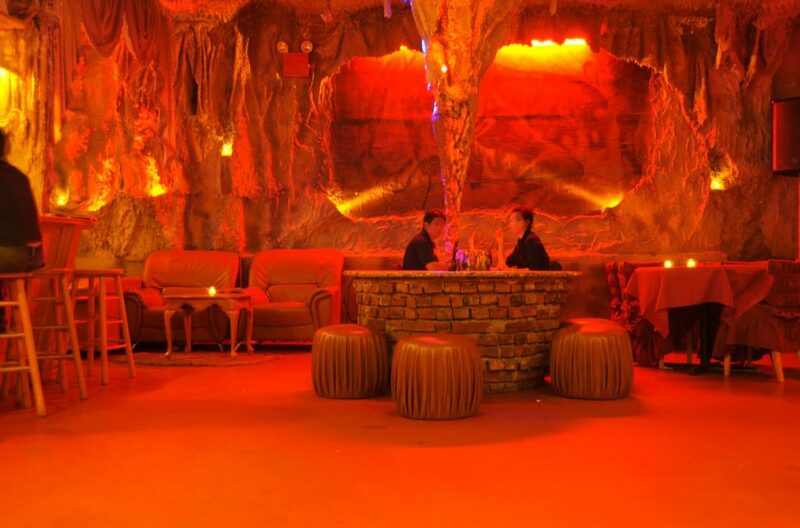 This restaurant is literally housed in an underground cave-like atmosphere. The entire restaurant has rock formations and cave paintings, really evoking the vibe of sitting inside a giant cave — despite being in downtown Manhattan. This unique restaurant is probably the most famous entry on the list. As “New York’s only haunted restaurant,” guests get to watch as characters like Claw the Werewolf or Dreadmina the Vampire perform every 10 minutes. Chow down on some traditional Japanese food while also being bombarded with ninja-turned waiters who will randomly perform ninja moves like karate chops as you eat. There’s even a ninja magician that comes out during dessert. According to their website, Brooklyn Grange is “the best of the best when it comes to rooftop farming and intensive green roofing in the US.” Check out how the rooftop garden grows during each season here. Camaje Bistro is the one place you’ll find dinners in the dark in NYC. Guest are blindfolded before they even enter the restaurant and then escorted to their seats. Guest also have to guess what food they are eating, meaning they have to use their sense of smell, taste, and even sound to figure it out. With food being the highlight of coming to New York City, it’s important to find a gym that can work with your crazy schedule of food tours. In New York City, working out at 2:00 am isn’t unusual. Many locals take advantage of these 24/7 gyms to squeeze in a workout from their busy schedules. Boom Fitness has many locations in Murray Hill and the Upper East Side, with the option of 24-hour service between Tuesdays and Thursdays. This gym may be less known, but it still delivers high-end workout classes with elite trainers available at all hours. Barry’s Bootcamp has become increasingly popular all over the world. This gym, based in L.A, offers 5-star facilities, high-intensity and interval training classes, dim-lit rooms, and even dance parties! These party workouts are a perfect alternative for going out on a Saturday night. You can find this 24-hour gym all throughout the city. You may even spot a famous person working out next to you here. The New York Yankees shortstop Derek Jeter is a regular at the 24 Hour Fitness gym. In fact, he has three co-branded locations in Manhattan. 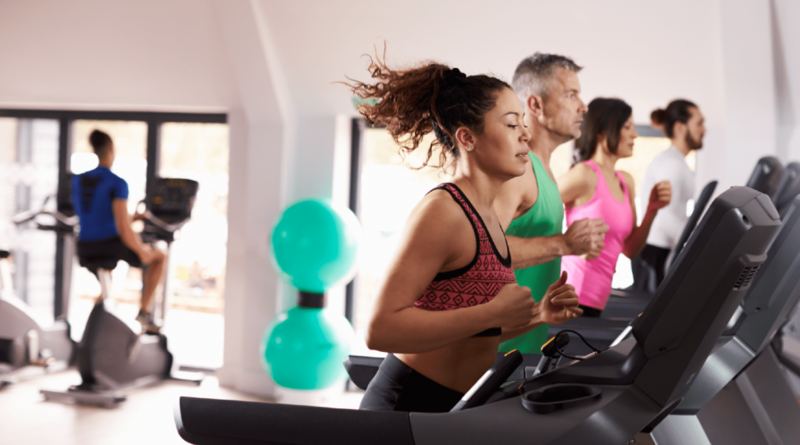 The gym has previously partnered with other celebs such as Lance Armstrong, Shaquille O’Neal, Andre Agassi, and other athletes. This is probably the most well-known gym on this list. Currently, this gym has 20 locations all over New York City. This franchise gym offers 24/7 hours access to their state of the art equipment. Find a location near you here. Pioneer Works opened recently with the vision of artist Dustin Yellin. This exhibition space is in a 150-year-old warehouse, displaying work from people worldwide. The best time to visit this gallery is on Second Sunday, which is a free event in a beautiful garden that features live music, local artists, and other programs exploring art. 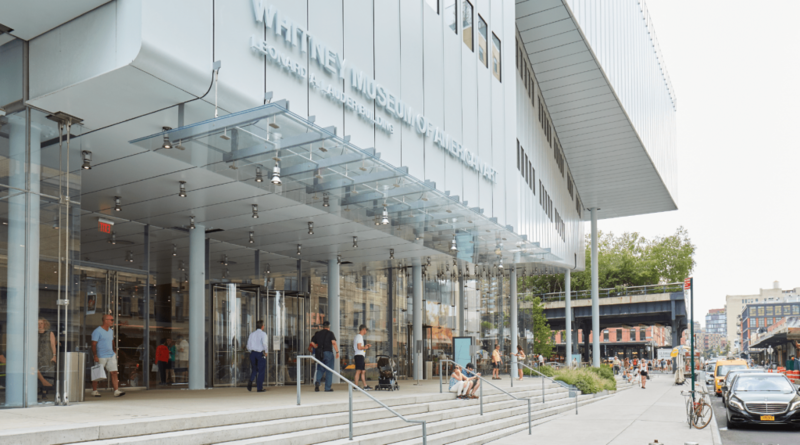 This museum is the largest open-plan museum gallery in New York City. It was founded in 1930 by Gertrude Vanderbilt Whitney, a sculptor and promoter of American art. This famous museum features more than 22,000 American artworks from the 20th- and 21st-century such as Georgia O’Keeffe, Mary Heilmann, Edward Hopper, Brice Marden, and more. This museum, located in Chelsea, features exhibits dedicated to fashion and is free to the public. This is because it was created by The Fashion Institution of Technology (FIT). The school’s exhibit has more than 50,000 items spanning from the 18th century to the present day. The team here at Deputy put our customers and partners first. 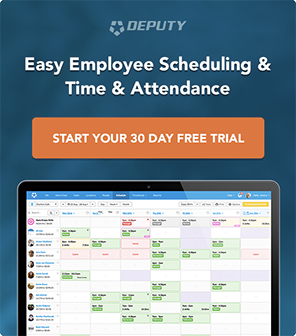 Subscribe to the blog today and learn how Deputy can help grow your business. Interested in learning more? Our support team is available around the clock. You can always schedule a free demo with one of our reps today for a live walkthrough of our product.